Mix all dry ingredients except coconut. Add coconut oil.Stir well. Add milk, honey and natural peanut butter. 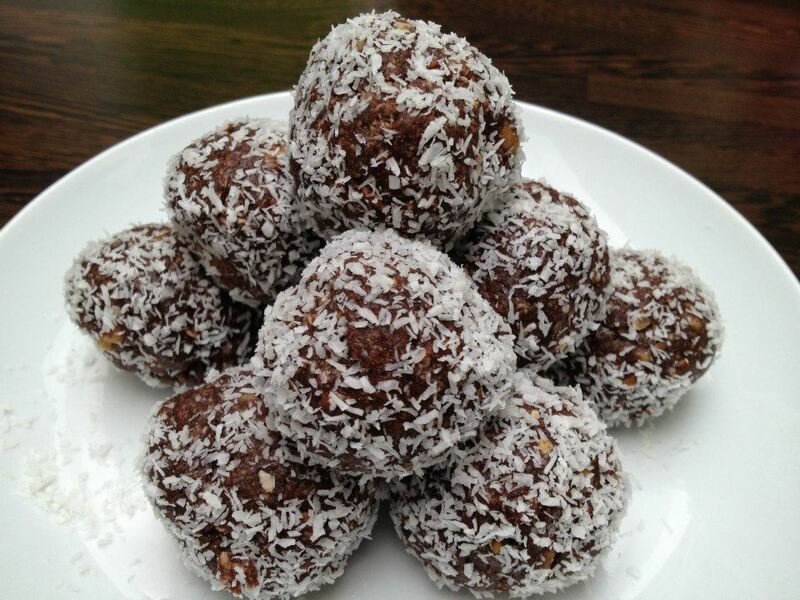 Roll into balls and roll in shredded coconut.